Filipinos love anything Korean! I'm sure ya'll agree :) Who doesn't love anything Korean? From fashion, to music, to makeup to television shows to movies to food, name it and I'm sure there's a Korean heart residing in you. Whether big or small, Koreans invaded the Filipino culture! Since I've mentioned Korean food here, let me share with you this Korean restaurant that I've discovered last year but haven't tried their food yet not until they've invited me to the media launch of their newest endorser- Sam Concepcion. I didn't hesitate when I received an invitation even if it was a short notice. I said yes a day before the event because I'm so intrigued about their menu. 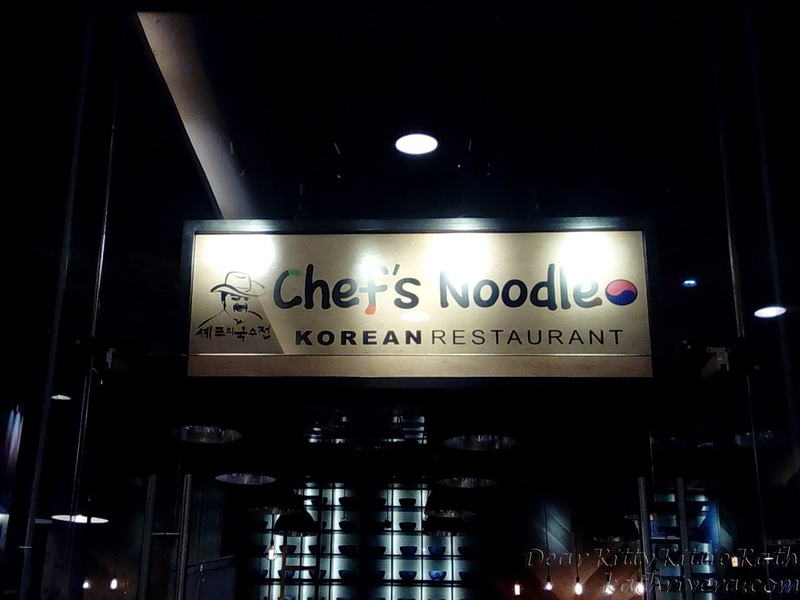 I've read somewhere that they offer good food and they serve authentic Korean cuisine. 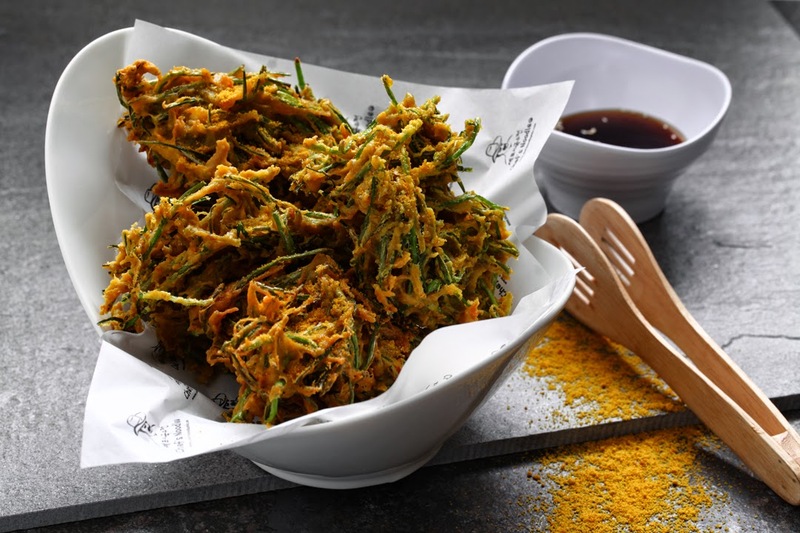 Are you excited to see Chef's Noodle appetizing menu? Click CONTINUE READING to find out! 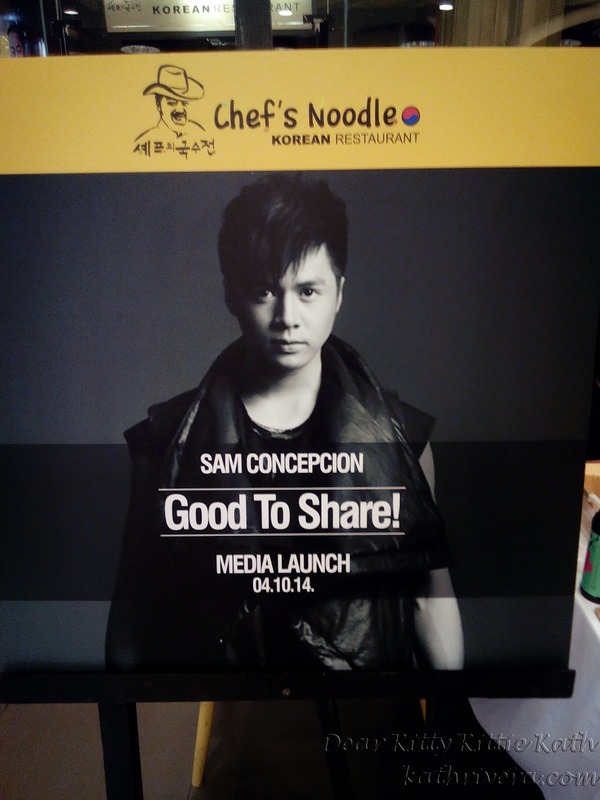 The media launch and contract signing of their newest endorser Sam Concepcion happened last April 9, 2014 at Chef's Noodle Robinson's Magnolia branch. 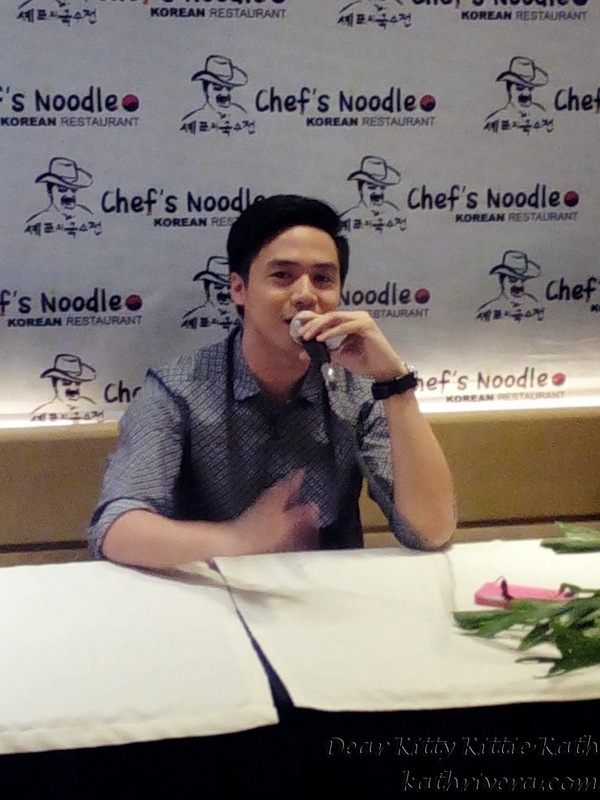 Chef’s Noodle, the new favorite go-to restaurant for hearty Korean dishes, introduced its new endorser—actor, singer and dancer Sam Concepcion. Sam is the newest addition to the roster of celebrity endorsers of Chef’s Noodle, including TV host Grace Lee and gorgeous couple Lloyd and Shamcey Supsup-Lee. One of the most in-demand teen actors today, Sam exudes a fresh and youthful vibe that is characteristic of Chef’s Noodle. 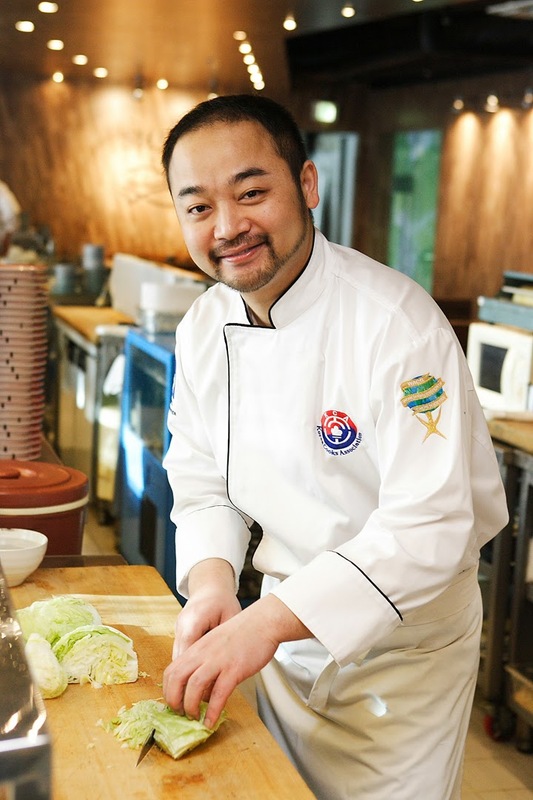 The first international master franchise of the Chef’s Noodle brand from South Korea, the restaurant is fast becoming a diner’s haven for those who want a taste of the land of K-Pop and kimchi—and more. 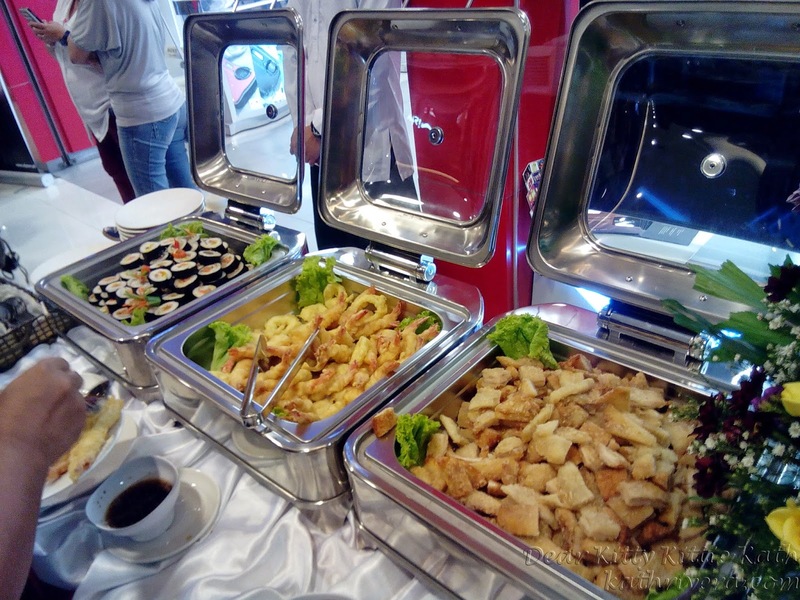 Because this is a media event, they prepared their best-selling food buffet style. 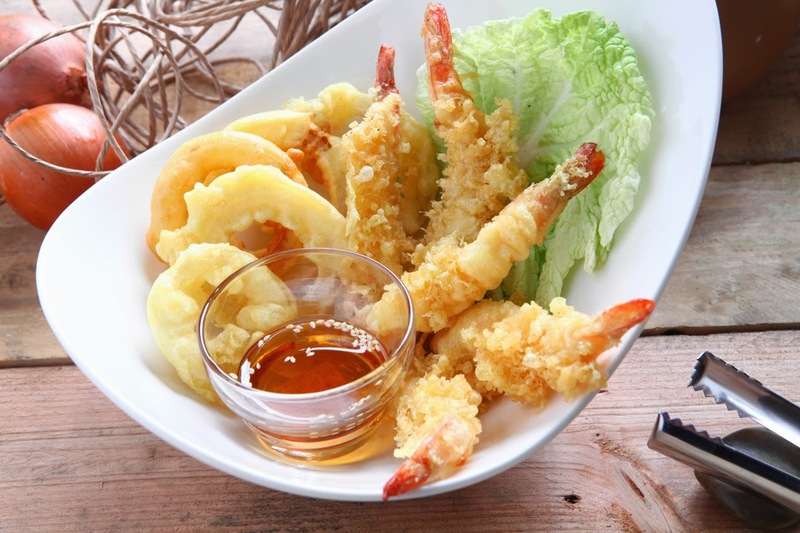 My eyes feasted on the sushi and prawn tempura- two of my fave dishes. We had a sumptuous lunch before Sam Concepcion arrived for his contract signing and some interview. 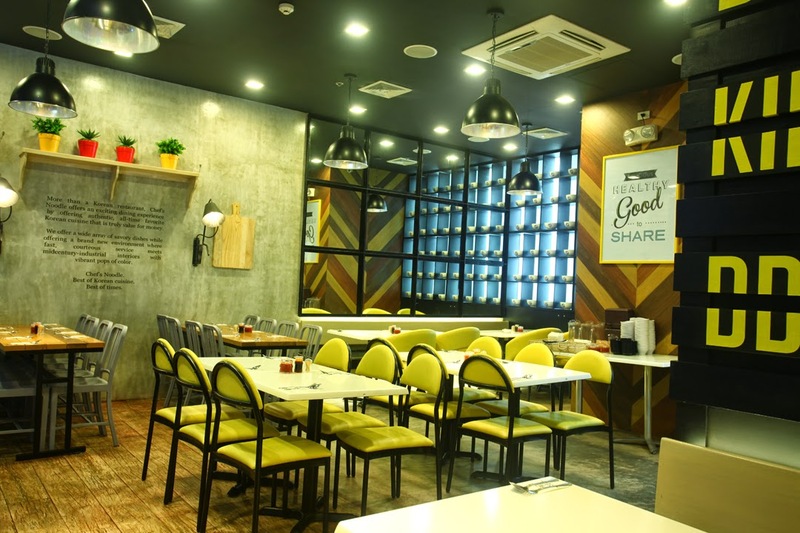 Dining at Chef's Noodle is definitely one example of Good To Share experience! During the contract signing, I saw blogger friends who enjoyed delectable dishes from Chef's Noodles. We enjoyed good food and company. I agree to Sam's statement that food should be enjoyed with the company of people who share the same taste as yours. 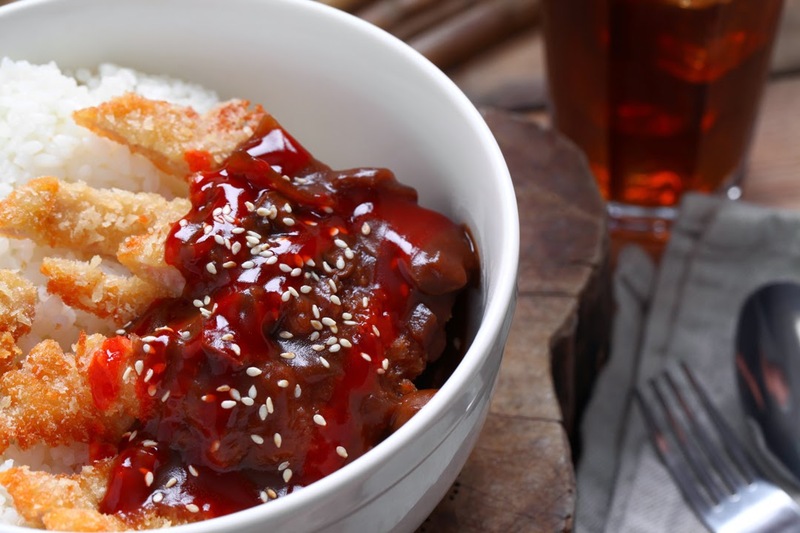 Not only that they offer delicious Korean cuisine, the food also comes with very affordable price. 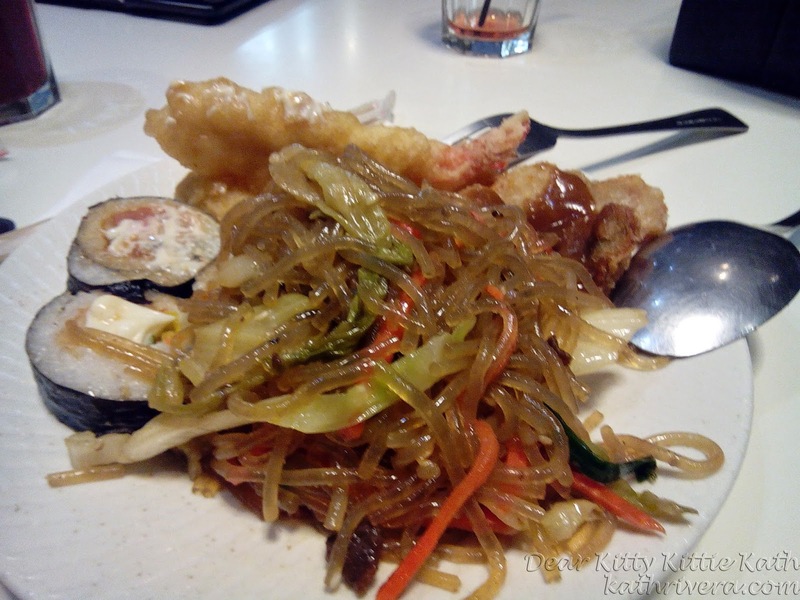 Craving for Korean cuisine? Visit its branches at University Mall (4050129), Atlanta Center (5765054), Robinsons Magnolia (6567033), SM North EDSA The Block (3765367) and Robinsons Place Malolos (0917-5486187). Soon to open: SM Megamall. Open for franchising. 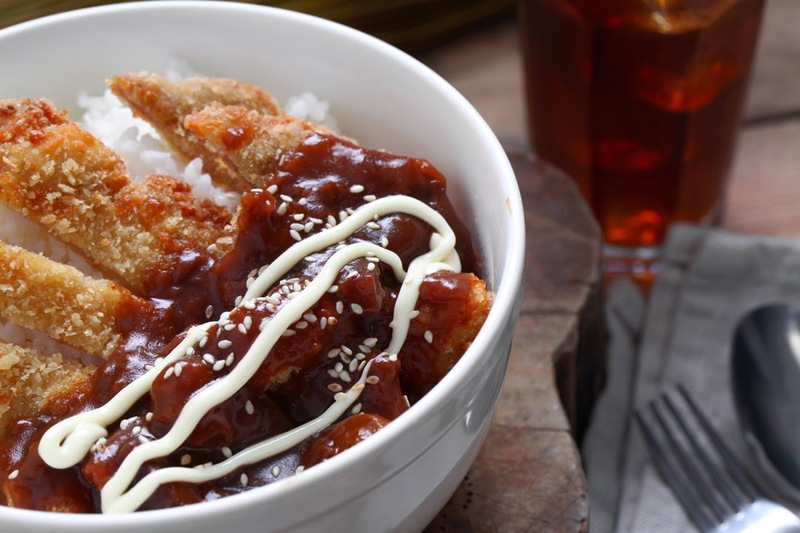 Like them on Facebook: Chef's Noodle Philippines for more details and exciting promos. Aww, sayang! We should have met na sana. Ang dami kasing media and bloggers. Yes Yette, you're going to love their food. Hope you can dine in there soon! I hope they open a branch here in the South. 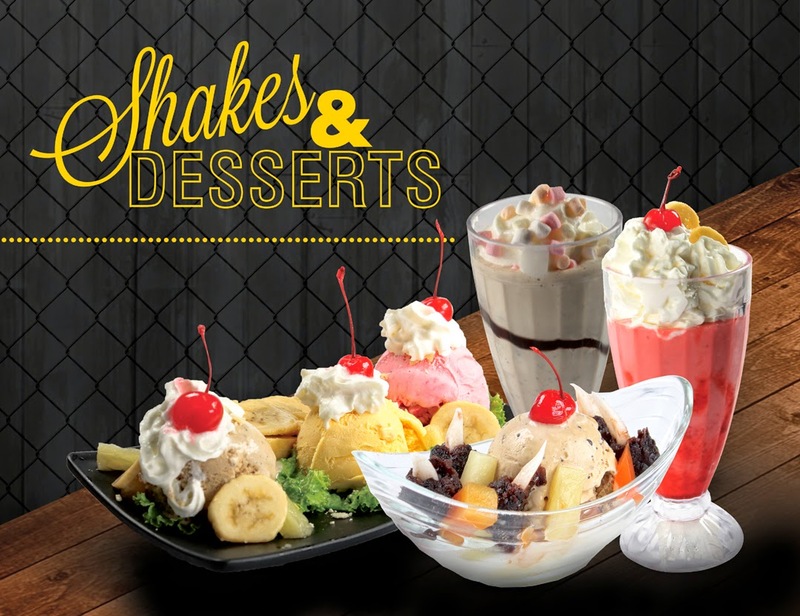 Their food look sumptuous, and the desserts are very tempting! I hope! I know you're a fan of anything Korean and I'm sure you'll be able to compare the taste of their food to other Korean restos you've tried. 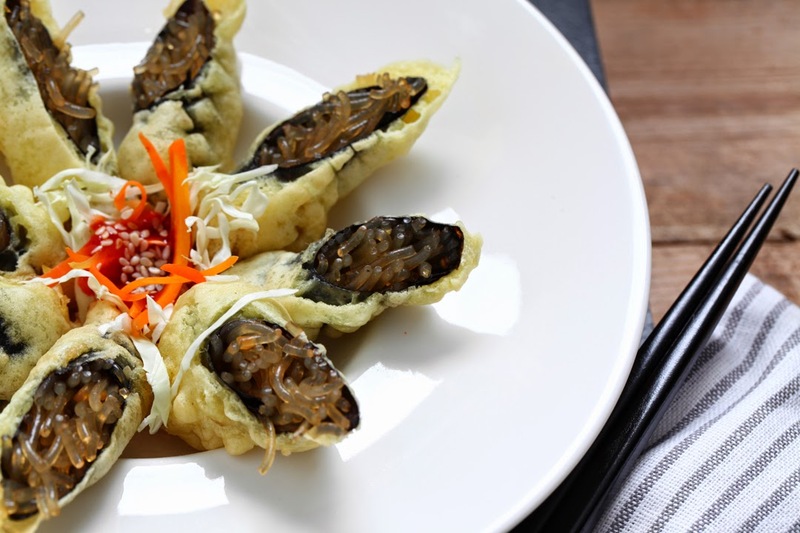 This looks like a great restaurant to try since I love Korean food! Definitely :):) Hope you can try them soonest!